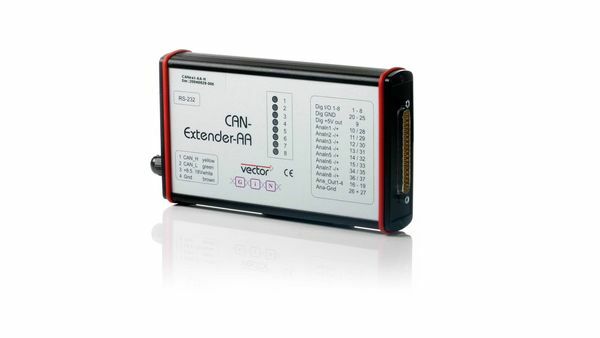 The CANextender is a programmable input/output device for CAN systems that can be used where analog and digital measurements must be acquired and transmitted to the CAN bus via CAN messages. For this purpose, the CANextender reads in digital and analog signals and evaluates them according to a configuration program created by the user. The configuration program thus specifies via which CAN messages and how often the measurement values are transmitted on the CAN bus.